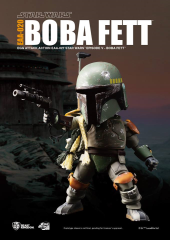 With his customized Mandalorian armor, deadly weaponry, and silent demeanor, Boba Fett was one of the most feared bounty hunters in the galaxy! 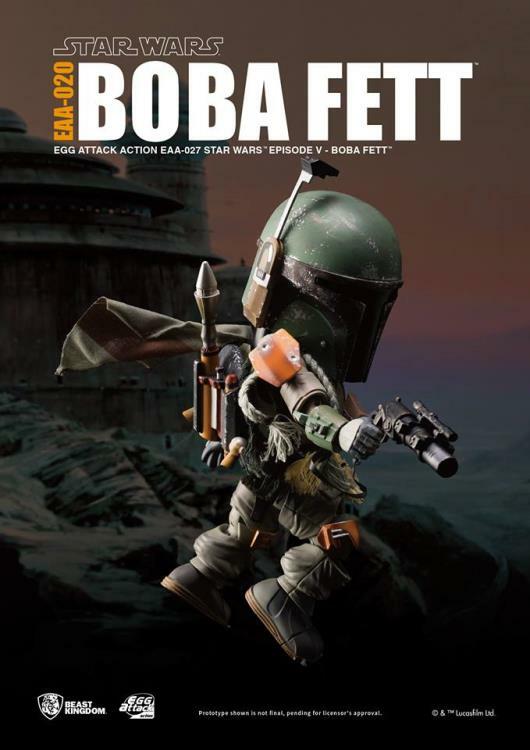 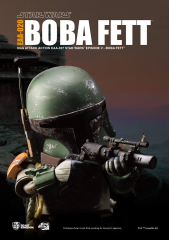 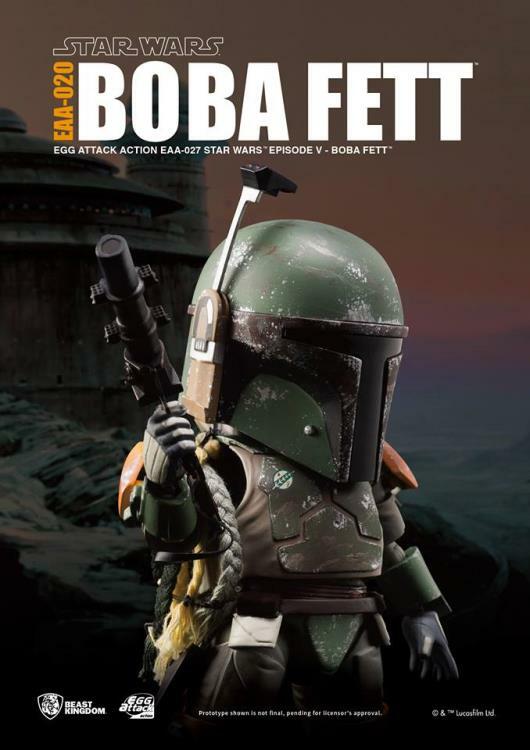 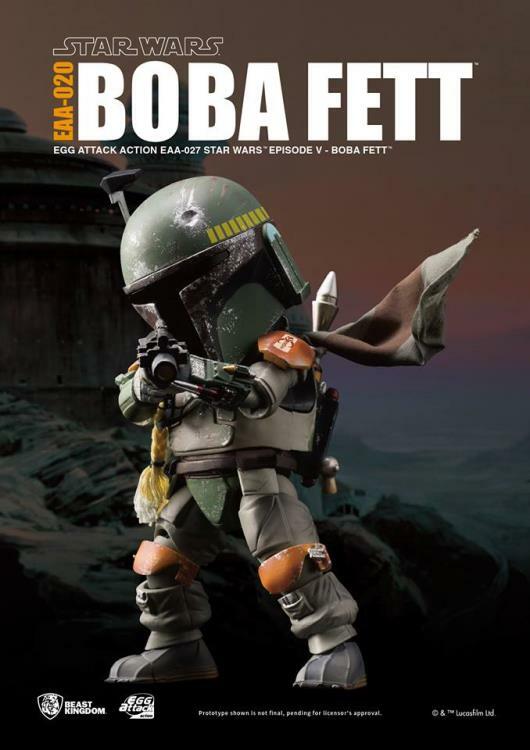 Beast Kingdom is proud to present the Egg Attack Action Star Wars Series' Boba Fett from Star Wars Episode V: Empire Strikes Back . 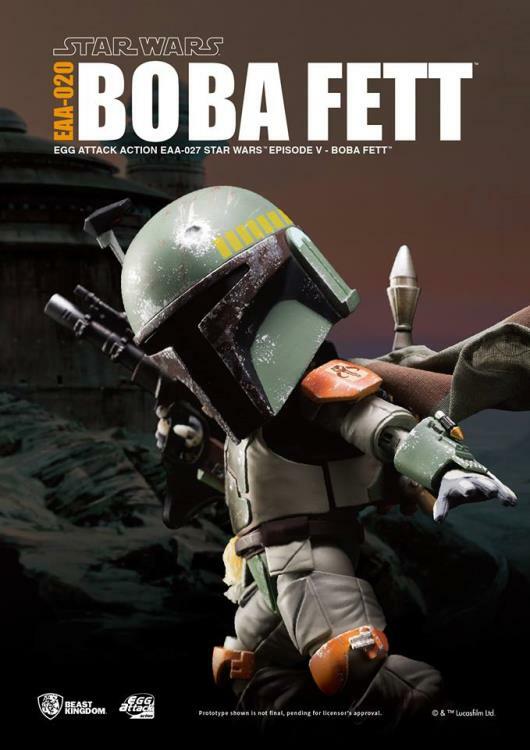 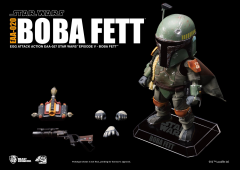 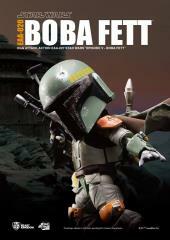 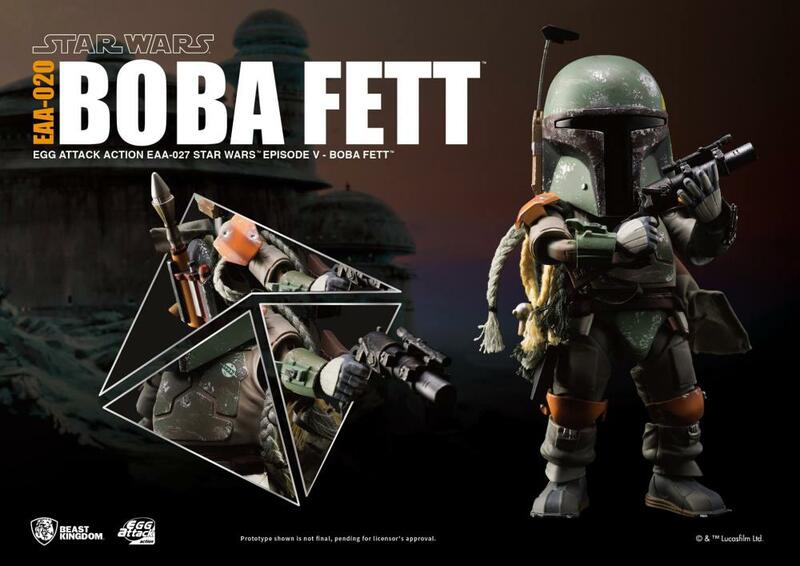 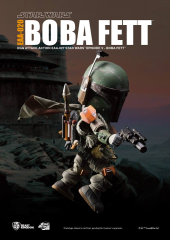 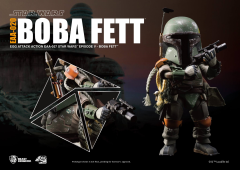 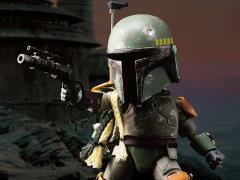 The 6-inch action figure is specially crafted based on Boba Fett's character and painted with expert technique, perfectly representing the texture of his unique green armor and helmet with weathering effects. The figure also features finely highly detailed EE-3 blaster rifle, and Z-6 jetpack.